SOLD OUT! Taste Some of the Best Wines from Tuscany! Join us for a wine tasting and food pairing fundraiser for Martha’s Vineyard Playhouse. Support the Playhouse and have a delicious time doing it! Tuscany, along with Piedmont, is one of Italy’s most important wine regions. Gorgeous scenery and cultural attractions are what first draw visitors to Tuscany. But when those visitors experience Tuscan wines, many return to explore the region’s captivating vinous offerings. When it comes to wine, Tuscany is home to a multitude of different microclimates, terroirs and grape varieties, making it essentially a country unto itself. Because of this diversity, there is really no typical “Tuscan wine”, since wines made from cabernet sauvignon and merlot on the Tuscan coast, from sangiovese in Chianti Classico, and from syrah in Cortona are all very different. Even where sangiovese is grown, differences in climate and soils have are large effect on the character of the wines. 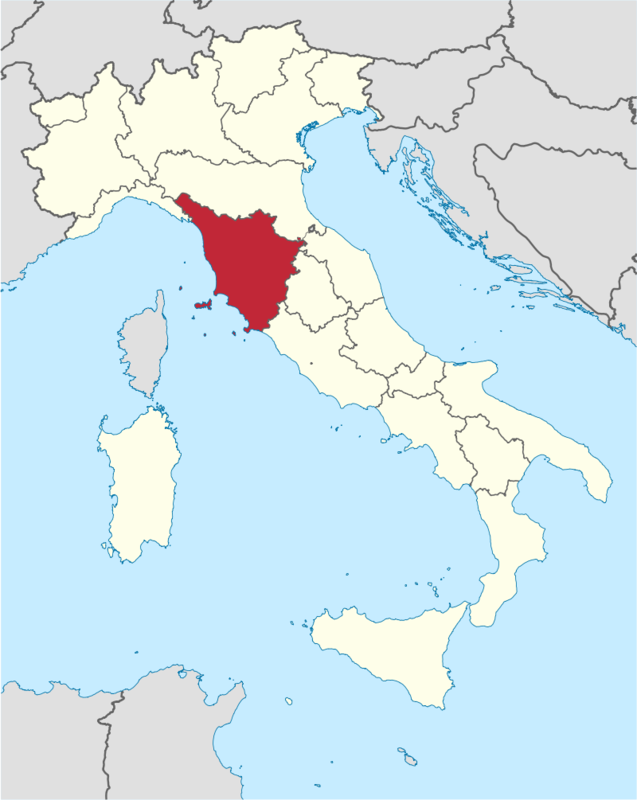 That said, there if there is a single unifying aspect of Tuscan wines it would be sangiovese, the most widely planted grape variety in Italy. For this tasting we will focus on wines made from sangiovese in Montalcino, Montepulciano, and Chianti Classico. While they all share the same grape variety, each region’s soils and climate ensure its wines express a unique personality. Each wine will be paired with a delicious sample of food, including Italian salumi, cheeses, and a magnificent rolatini! Brunello is considered one the world’s best wines. Made from local sangiovese clones grown on the best vineyard sites in Montalcino, the wines are intense, full-bodied, aromatic, and long-lived. A captivating, radiant wine, the 2011 Brunello di Montalcino Pelagrilli offers striking depth and nuance. Sweet dark cherry, plum, smoke, licorice and tobacco all flesh out in the glass. The Pelagrilli is without question one of the best wines of the year. Crushed flowers, tobacco, mint and sweet dried cherries grace the long, precise finish. The Pelagrilli is a blend of fruit from the north (80%) and south (20%) of Montalcino, aged in 45-50% new oak. I especially like the sense of energy here. Rosso Di Montalcino is the younger brother of Brunello di Montalcino. This is a fresher, more youthful style of the same sangiovese used to make Brunello. Aged for 12 months in oak and a further 9 months in bottle before release, this wine has wonderful notes of violets, raspberry jam, black cherry and wild berry fruits. The proper use of oak is revealed in a hint of spice and vanilla. An elegant and well-structured wine with good length and velvety tannins. Vino Nobile is a classic Tuscan wine, with roots going back to the 1500’s, when it was first named ‘Vino Nobile’ by the cellar master of Pope Paul III. Dark red cherry, smoke, tobacco, licorice, spice and a hint of new oak infuse the 2013 Vino Nobile di Montepulciano. Pliant and generous, the 2013 is a good choice for drinking now and over the next few years. The style is built on mid-palate intensity and weight. There is plenty of both here. The 2013 is an especially dark, muscular Vino Nobile. 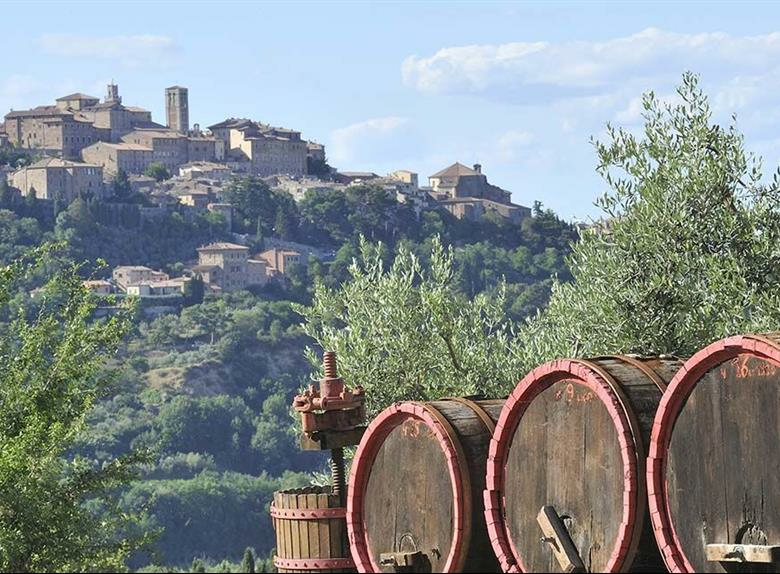 As in Montalcino, Montepulciano has a ‘Rosso’ designation for wines made from grapes with less intense flavor concentration that are ready to drink earlier. The 2014 Rosso di Montepulciano is a fresh, perfumed Sangiovese/Merlot blend to drink now and over the next few years, while the red berry and stone fruit flavors remain bright. Medium in body and lifted in style, the 2014 is very nicely done for the year. A large amount of Chianti is produced, not all of it good, which has led many people to avoid it. However, there are many outstanding producers of Chianti, Castellare being one of them, who produce fine examples of wines made from sangiovese. Wine Spectator – 90pts: Intense aromas of ripe cherry, wet limestone and wild herbs are backed by leather, tobacco and tar flavors. Shows complexity, balance and fine length, with a long aftertaste.